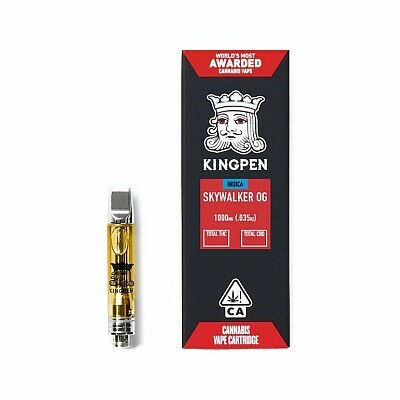 710 Kingpen's Skywalker OG Cartridge is the Indica-dominant Hybrid that makes relaxation it's primary purpose. Strong body highs with minor numbness and pain relief. 510 threaded and compatible with 710 Kingpen's batteries.